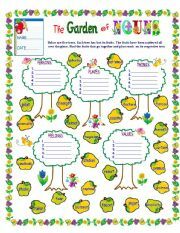 This worksheet helps children identify and classify name words. 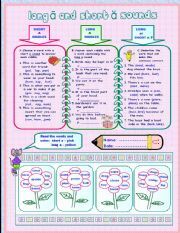 This worksheet helps children discriminate words with long and short a sounds. 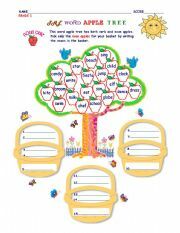 This worksheet helps to enrich child�s language, and to know the specific expressions used for identifying the animal sounds. Enrichment learning activity on linking verbs. 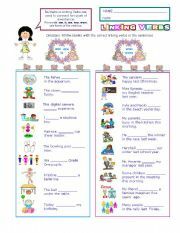 This worksheet helps children identify the singular and plural forms of nouns.